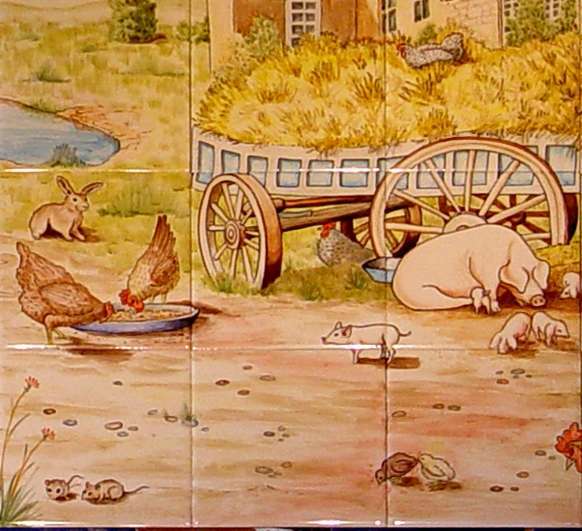 A large tile mural depicting a really fun, detailed farmyard scene was painted to order for this client who was keen to specify exactly what animals should be featured and where. The big red tractor would be a huge hit with any small boy and the whole scene makes a marvelous impact in a country kitchen. The 72 tile panel shown here can be customized to fit of course but is 60" by 30" on our standard 5" tile.